Hi Everyone!!! After surviving the longest month of January, we just had to survive watching the slowest Super Bowl game ever! Thank goodness for chips and dip. I’m ready to kick this month into high gear with my Amazon favorites. I found some real gems in the clothing and gadget department. Exciting news on the Amazon Favorites home front! I finally created an Amazon storefront where all of my favorites are saved by category. Find everything HERE. 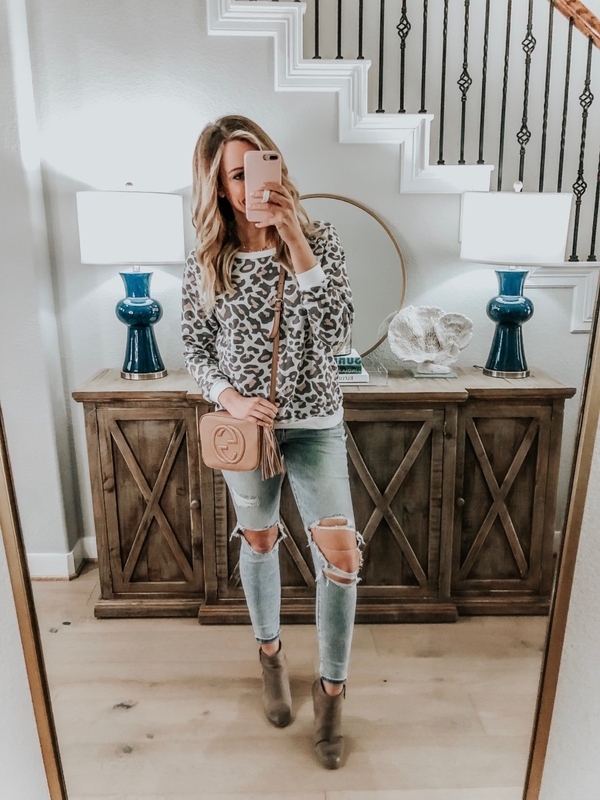 Heart Sweater– Size up, wearing a medium but would even go with a large for a more oversized look. 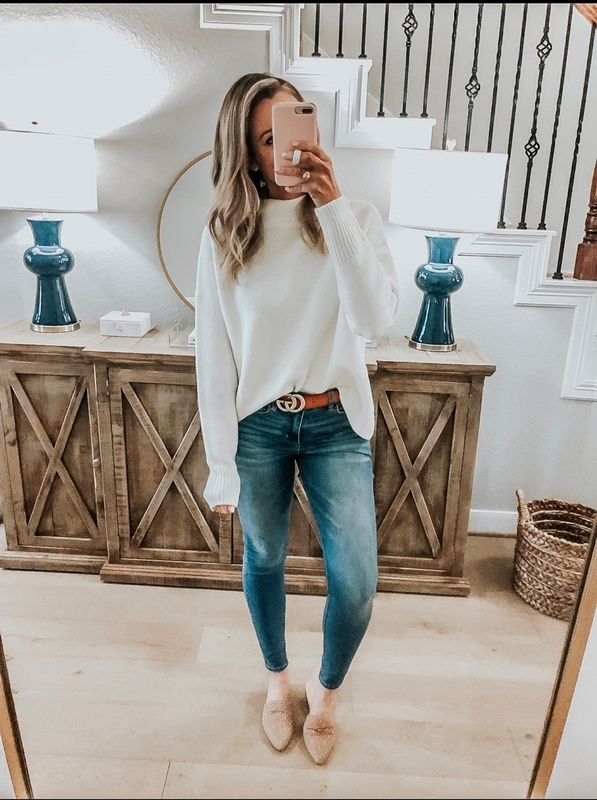 White Jeans– Not Amazon but the best of the season. They sold out last year! Run tts. 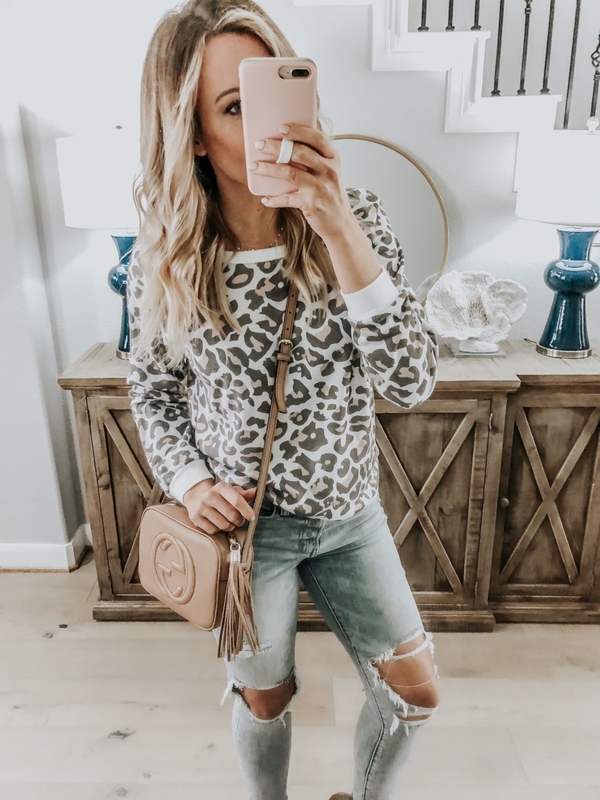 Leopard Sweatshirt– Color Camel. Size up two sizes. Wearing a large. I love that this isn’t super thick so it will be perfect when spring rolls around. Jeans– Size Down. Love this brand of jeans because they resemble Madewell at a fraction of the price. 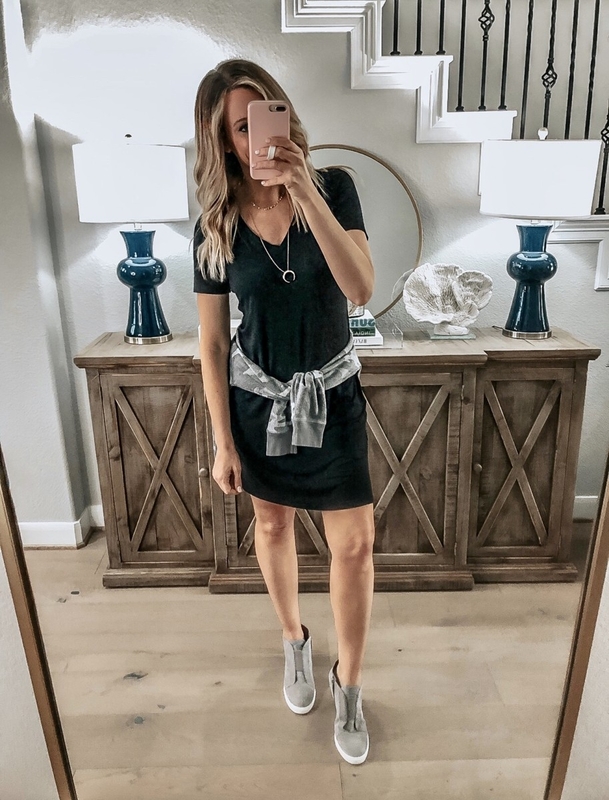 Black Jersey Dress– Size up, wearing medium. 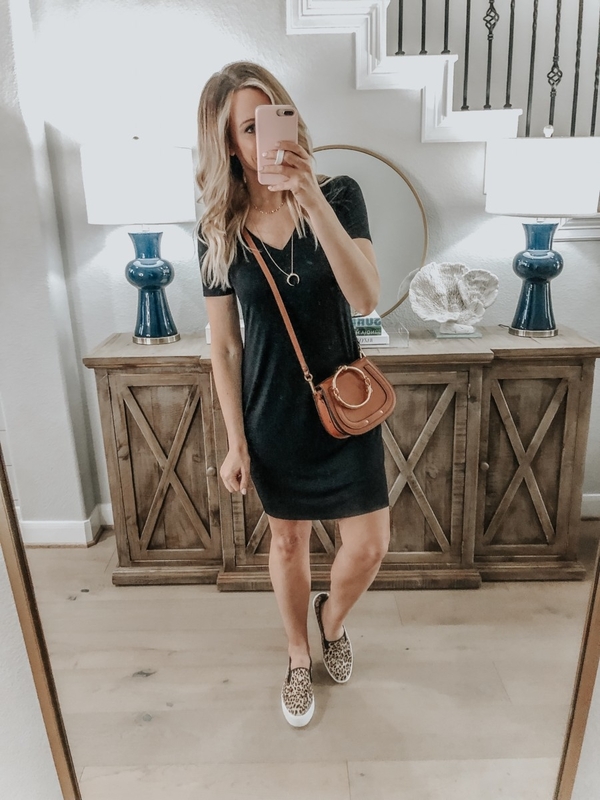 Hands down the most versatile dress I’ve owned. Dress it up, dress it down, wear it as a swim suit cover up. You’ll grab for this dress over and over. 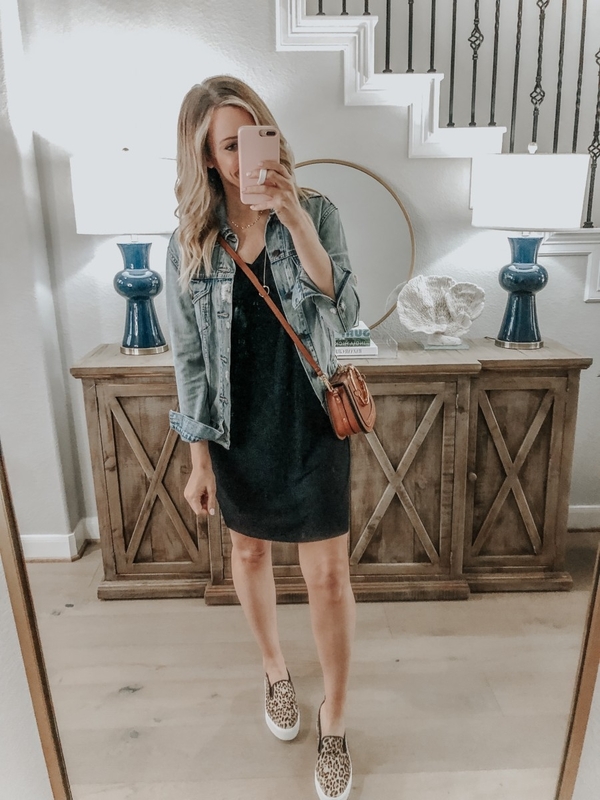 Crossbody Bag– Get the look of a designer bag for the fraction of the cost. Still one of my most used bags after two years. Crescent Necklace– Gold layered necklaces will be big again this spring/summer! 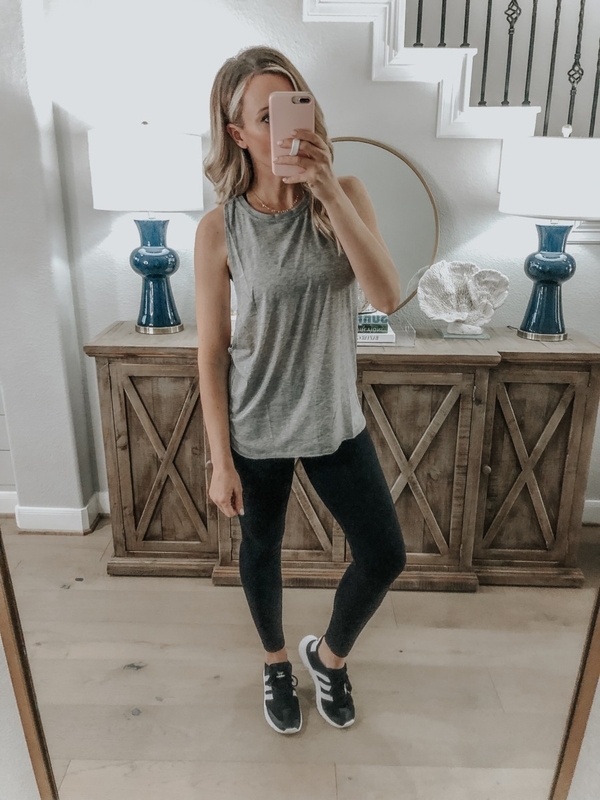 Workout Top– Wearing size medium. 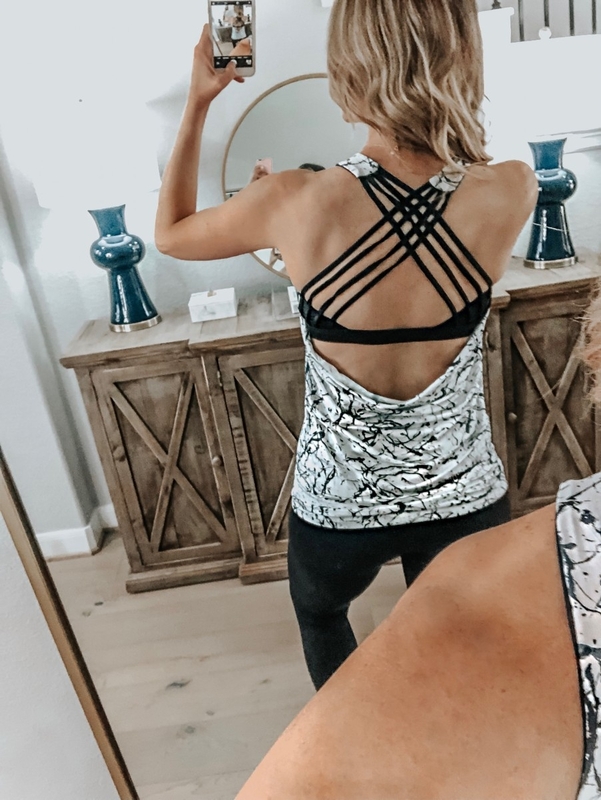 Love the built in bra and fun criss cross back. 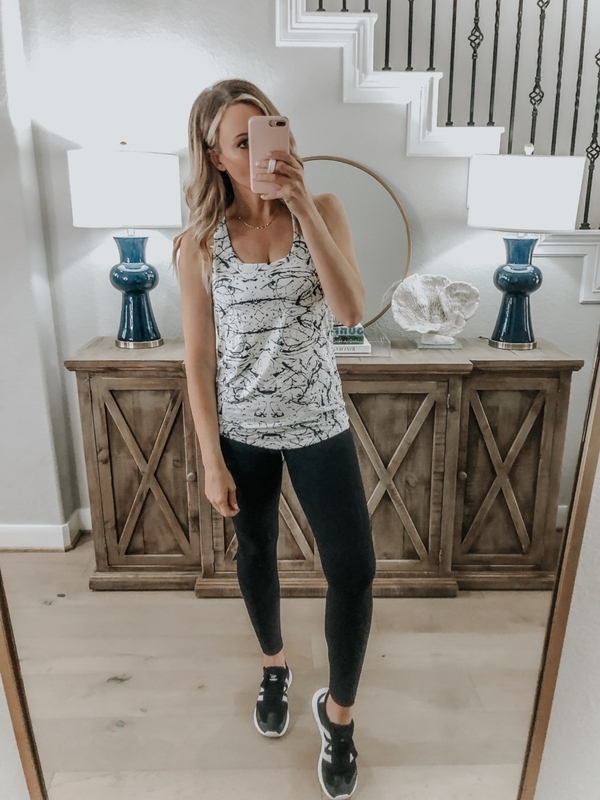 This is one of my favorite workout brands from Amazon. 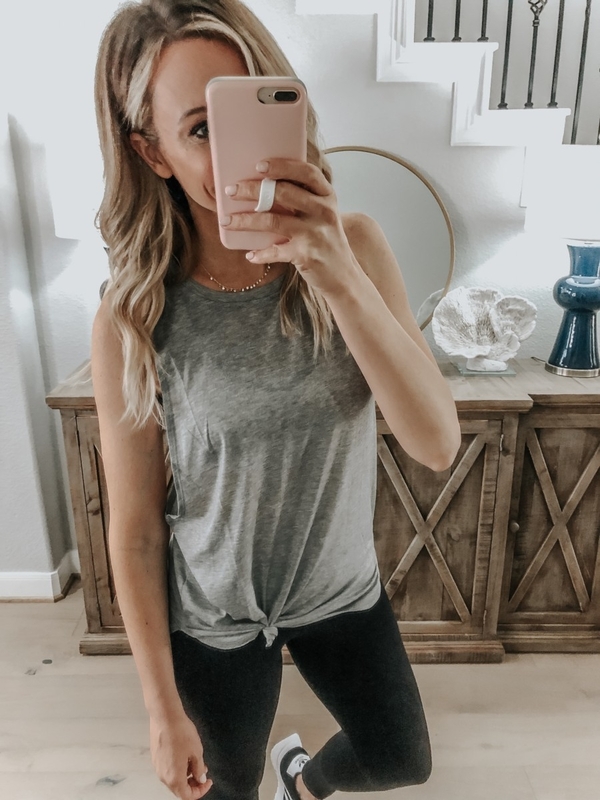 Workout Leggings– True to size, wearing small. I have these in four colors and they are my favorites. I wear them to every workout class. They have a high waist to cover any muffin top and they feel incredible. I don’t have to yank them up or adjust them over and over while working out. 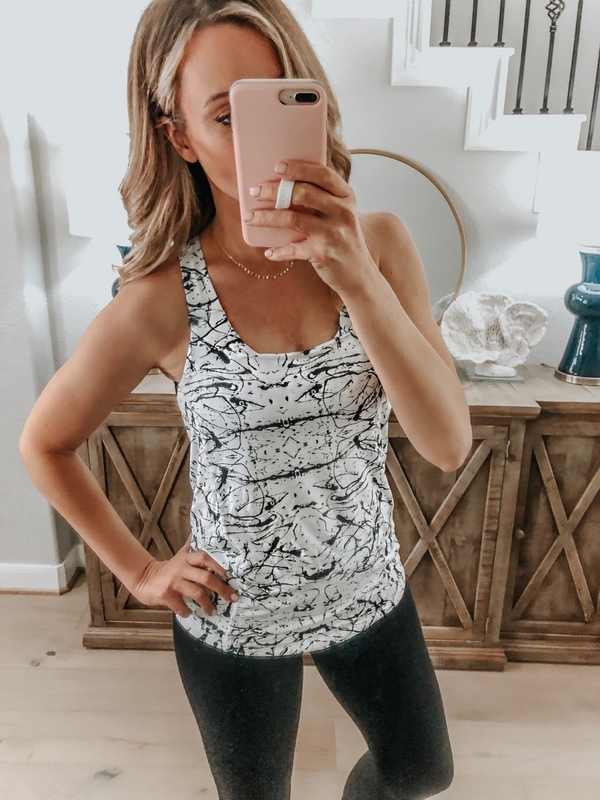 Workout Tank– Size medium. Get one tank for $11 or a pack of 3 for $24. These tanks are perfect for a major sweat sesh! They are breezey with long open sides and can be pulled up into a knot if you want them fitting a bit more snug. 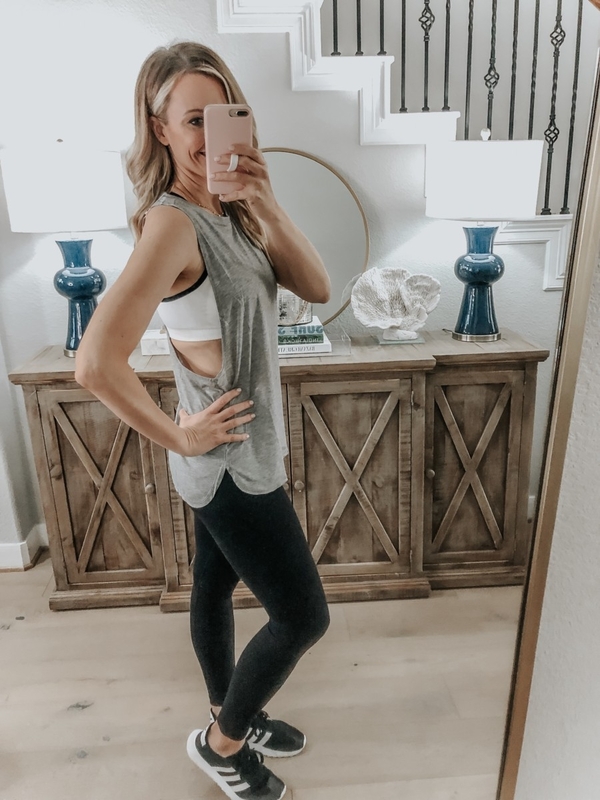 Sports Bra– True to size, wearing small. Love this two pack of sports bras for less than $20. Sneakers– Not Amazon, I wear these daily for running around town. Sweater– True to size, wearing small. I loved how this was longer in the back! 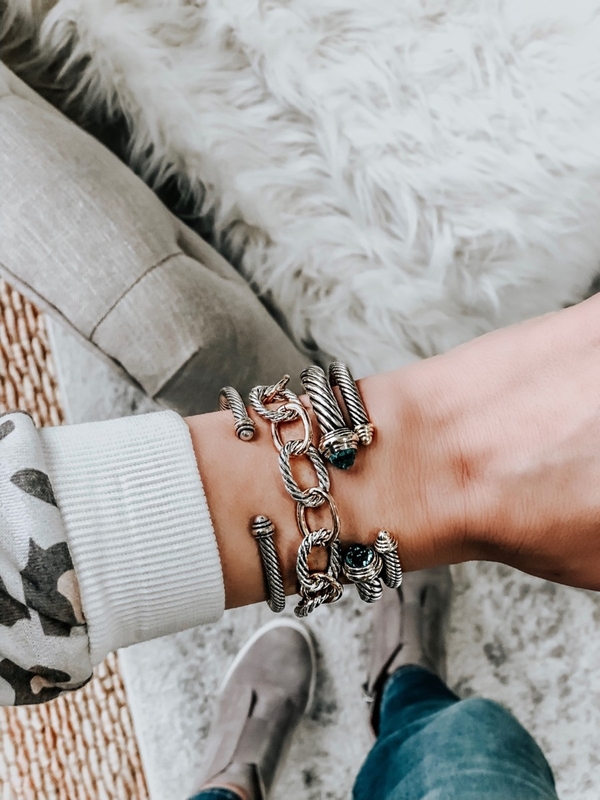 Silver & Gold Link Bracelet– David Yurman look alike without the David Yurman price. I love to mix and match them together. 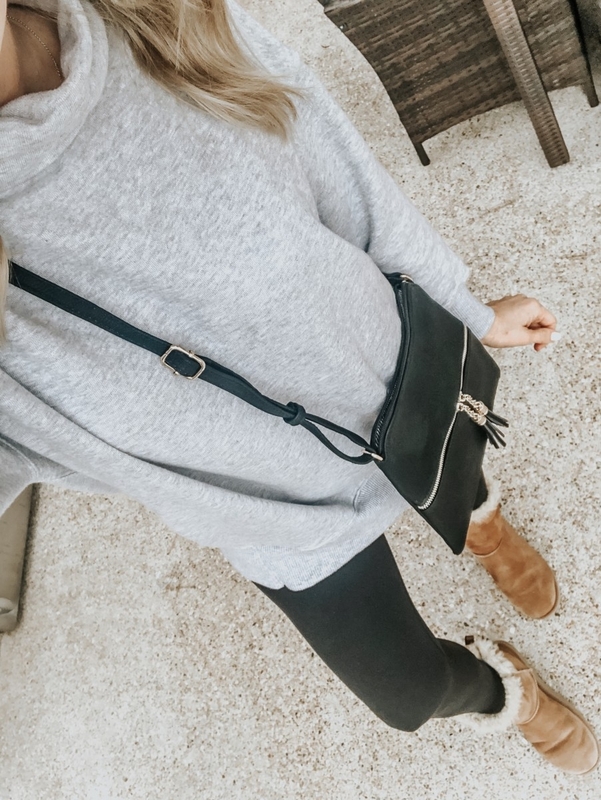 Crossbody Bag– Under $15. Multiple color options, adjustable crossbody strap, lined, two interior pockets. My neighbor texted me one night and told me she had just bought three of these bags and I needed one ASAP. I was skeptical but ordered. I was amazed when I got the cutest crossbody in the mail. This bag can fit a wallet, phone and sunglasses along with some lipstick. As we speak, she also texted me this adorable bag! Clearly she is an Amazon bag fairy! 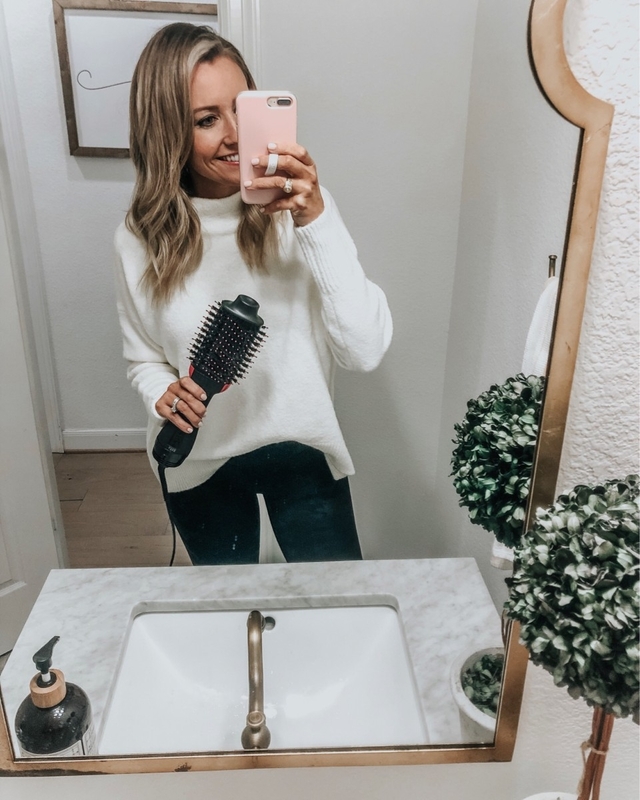 Revlon One Step Dryer– TOTAL GAME CHANGER!!! 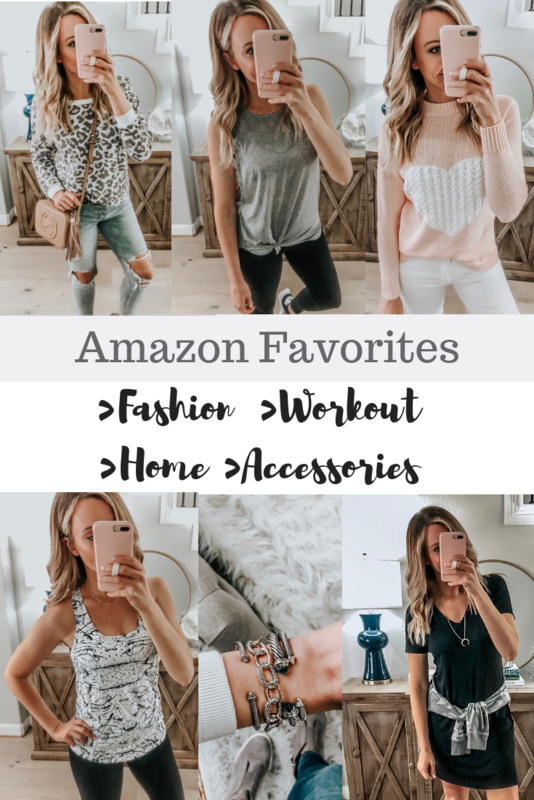 Don’t miss my other Amazon favorites posts from the past! 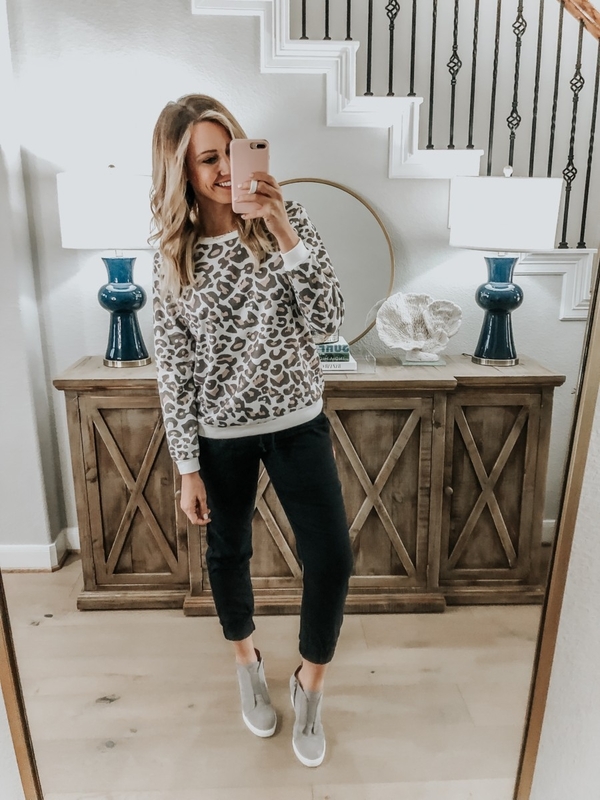 Where’d you get the jeans you are wearing with the leopard sweatshirt.